Ok, my latest obsessions… color activities, rainbow colors, using unfinished wood pieces to make homemade toys, & taking pictures of all of the above. I think C is getting his basic colors down pretty well at this point, but I just can’t get enough so we will be playing with colors a lot! Good thing he’s enjoying it thus far. This rainbow color drop activity was pretty simple to put together and based on the idea that babies (and toddlers) love to put things inside of other things. At least Mr. C always has. I’ve done versions of this with him since he was probably about 10 months old. We’ve used checkers and whatever else I could find around the house. (Be sure to supervise accordingly). When I found these unfinished wood discs at Michaels though, I knew they would be perfect for this activity. I just used regular old acrylic paint to paint them. I didn’t seal them with anything but I have to say I wish I had because they are getting banged up pretty quickly based on the nature of this activity. I may repaint them and seal them if I can get them away from the little guy long enough. 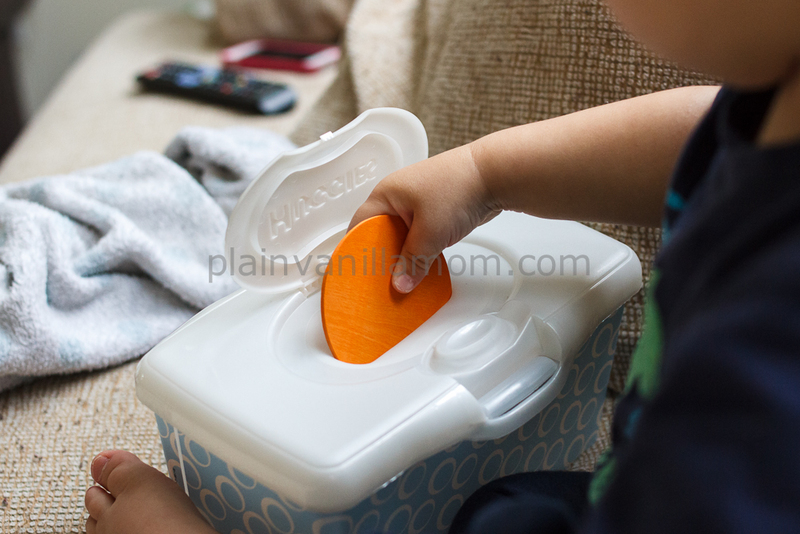 We have loads of empty wipes containers laying around so that was our container of choice but you could just as easily use a tissue box or cut a hole in any other type of box for that matter. 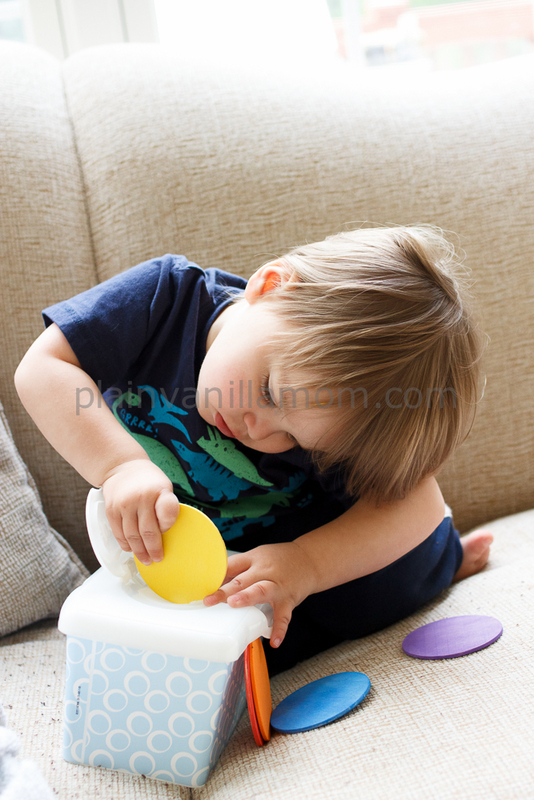 Having the colored discs designated for this activity is great because now it’s a permanent toy without borrowed parts. Most of the time I let him just play with it as he will but when he’s in the mood we will play such that I call out a color and have him try to find and drop it or I will ask him which color the disk as he’s dropping it in. If your kids are even older you might have them try dropping the discs in rainbow color order. I’m thinking this game would be a great one to take in the car to entertain during those long summer road trips too! Don’t forget, if you’re not already, Follow us on Facebook and Twitter. You can also find us on Pinterest and I often share play ideas on Instagram too! I Think this great for rainbow color.